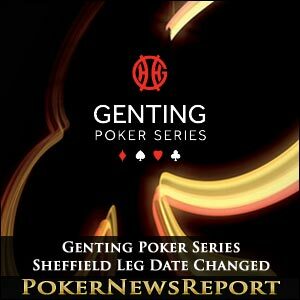 The Sheffield leg of this year’s inaugural Genting Poker Series has been put back by a couple of months from September to November. 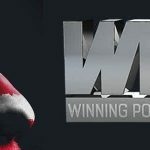 Originally slated to take place between September 26 and 30, the fifth leg of the tour will now take place between November 21 and 25 at Sheffield’s Genting Club, with the £400+£30 No-Limit Hold’em main event running from the 22nd to 25th. 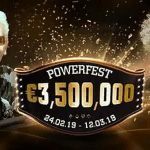 Although still down as Leg 5 on the official website, these date changes will now see the sixth leg – the Genting Online Poker Tournament – take place before the Sheffield event kicks off as the dates for the virtual poker event are November 8 to 11. 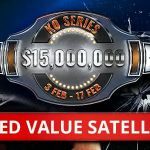 What appears to be certain is that the Sheffield stop will become the most worthwhile event to sign up to in the north of England in 2012 as a £100,000 prize pool has been guaranteed by the organisers. 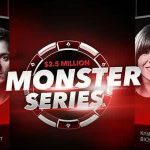 Former Dusk Till Dawn dealer Ruslan Vlasov took down the opening leg of the series in Birmingham early last month, when the Nottingham-based Russian pocketed £16,600, as well as a £1,600 seat at December’s Grand Final in The Palm Beach Casino in London, after outlasting 364 other players at the Genting Club Star City venue in England’s second city. Meanwhile, Leg 2 of the series kicks off next Tuesday at the Fox Poker Club in London, with the £400+£30 main event starting the following day for five days of top quality action.